Did you engage in theater productions or take acting lessons in high school or college? Do you like to make announcements, toasts or give entire speeches? If yes, then you might be perfectly suited to making extra money as a voice over artist (or voice over actor). If you’ve ever listened to a book on tape, a late night product commercial, or a business radio announcement, you’ve probably heard voice over actors speaking and not the respective authors, manufacturers or business owners. Voice over actors are routinely hired by both online and off-line clients because most individuals, truth be told, do not orate well. There are many broadcast media that hire voice over artists, including TV and radio, for production numbers such as commercials, public announcements, cartoons and animations, documentaries and movie trailers. Non broadcast entities such as corporations, small businesses, religious organizations, webmasters and schools also hire voice over actors for help with creating podcasts, rich media presentations, educational, training and product videos, and even those pesky phone recordings you hear while on hold. With apps and online games taking off, voice over actors often work with programmers and gamers to generate different character voices and sayings. In short, there is a wide range of work available for those folks who want to be the voice behind the scene. At the very least, you will need a quiet, soundproof room as well as a decent microphone. You should also consider installing the free audio recording and editing software Audacity onto your computer. Of course, as you build your voice over business, you could eventually outfit your recording studio like Todd Schick. How much money can you make as a voice over artist? The following voice work rate card from Voices provides you with a good idea of what to charge for your voice work. Of course, as a beginner voice over artist, you may wish to start your rates a bit lower and work your way up while accumulating referrals and samples of your work. Still, it’s not unusual to earn $200-$300 for a 5 minute voice over even as a beginner, especially if the work is in a highly specialized field that requires fluency with multi-syllabic words and phrases. Thus, if you have any technical or educational expertise, take advantage of your background and advertise your proficiencies up-front. So, how can you get started in this business? 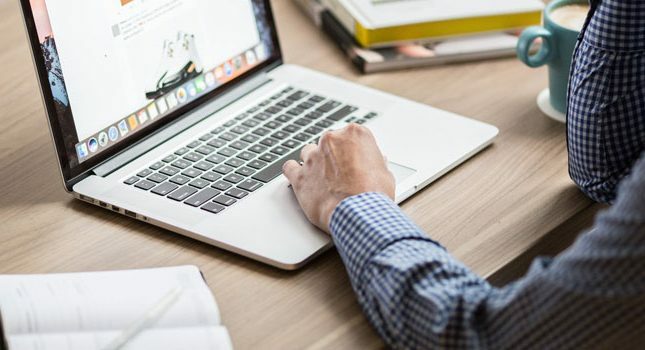 The easiest way is to check out these online sites, which help you advertise your services, negotiate your rates, and scope out voice over jobs. This site, which was launched by two Voice123 co-founders, Voicebunny is a kind of “fast food” version of voice over service sites, offering clients fast and cheap turnarounds on jobs that are mostly in some kind of technical market. As such, you will see lots of requests for audio podcasts, webinars, reports and news articles listed here. You set your own rates and can also post sample voice overs (i.e., demos) for clients to listen to. Once a client creates a work request, time is of the essence in terms of you accepting that request and creating a voice audition. In fact, you are actually set up with a timer once you take on a work gig. If that timer runs out, the work request returns to the pool. 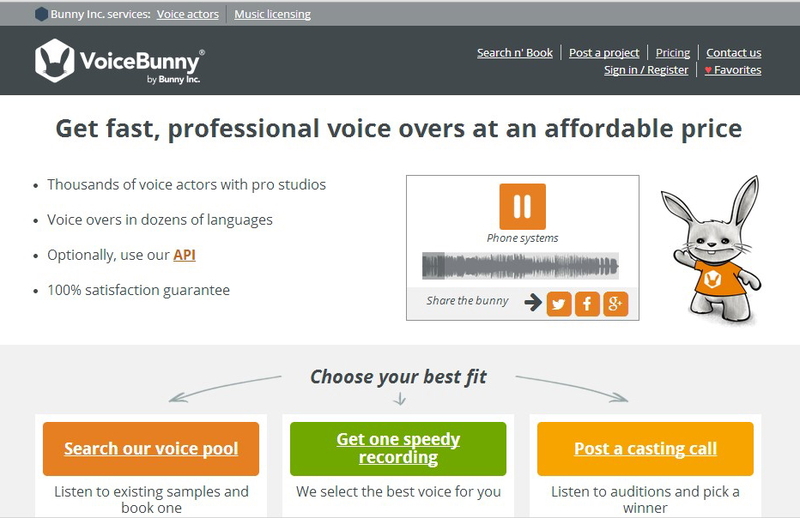 Your completed audition is first checked by Voicebunny staff for correctness and legitimacy (e.g., not being spam), after which it is sent to the client. The client then either accepts or rejects your audition. If your audition is accepted, Voicebunny pays you your personally set rate. Rejected auditions are not paid for and there are no retakes. Some criticisms of Voicebunny include excessive audition rejection by Voicebunny staff, lower than average pay, and no extra pay for what is essentially rush work. As such, Voicebunny is a kind of beginner’s site that most beginners leave once they rack up enough work and client referrals. 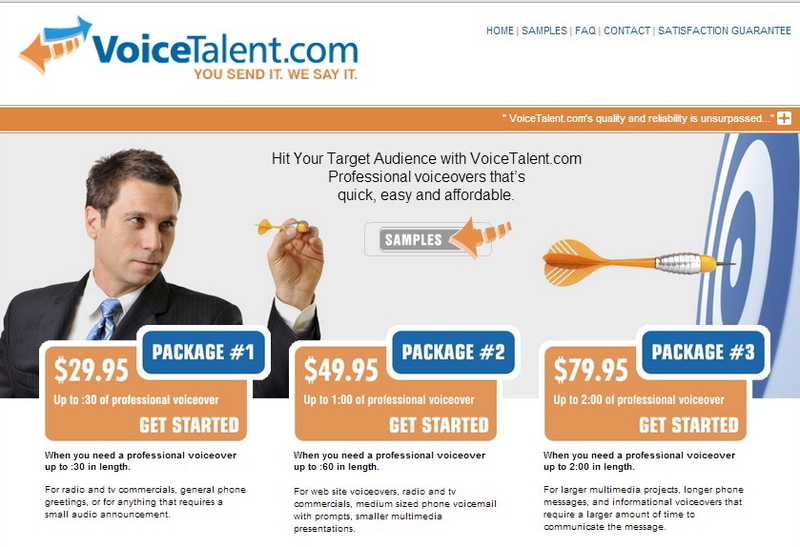 This site is not for beginners and voice over artists deal with clients directly in terms of setting up auditions, negotiating rates and getting paid. The site deals with some big-name clients including Zynga, Universal Studios and MTV. 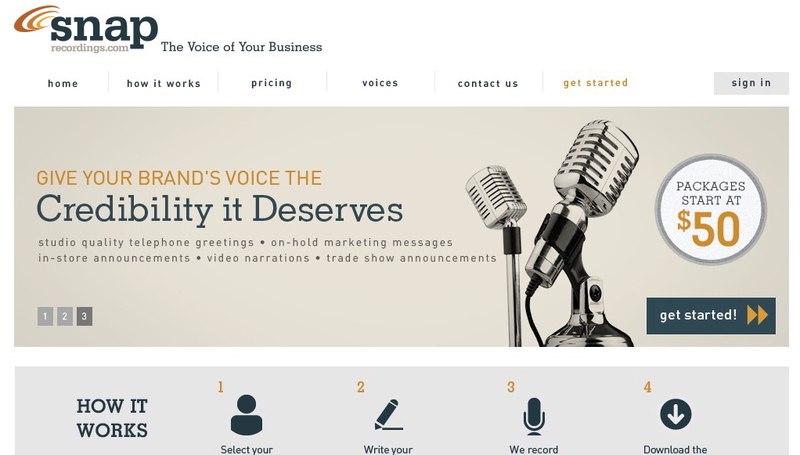 While Voice123 charges no commission or fees on jobs, it does “strongly encourage” its members to sign up for its premium membership at $395/year. Members who are signed up under the free or standard membership are still listed in the voice actors directory and can obtain work through direct invitation, but obtaining steady gigs is slim given that standard member profiles are listed below those of the premium members via the site’s search feature. Also, premium members receive audition invitations through the site, while standard members are not notified of such opportunities. Voice123 uses a voice casting software called SmartCast to match voice talent with appropriate clients based on prior audition behavior and thus cut down on low quality auditions and bidding wars. Thus, if you habitually audition for a type of voice over such as a webinar presentation, you will get invited to more webinar casting calls. On the flip side, if you habitually audition for low-paying gigs, you will be invited to more low-paying gigs. 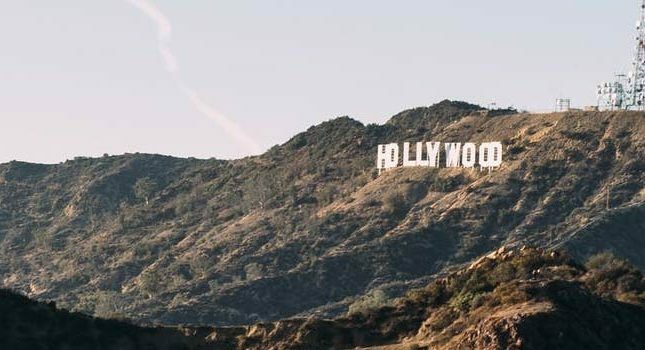 This site is the crème-de-la-crème of voice over sites and offers its talent the opportunity to work with clients including national TV stations, movie studios and major corporations. Also, the minimum casting call payout is $100, with a good number of calls paying between $100-$250. Voices, much like Voice123, offers free and paid memberships, with the free (i.e., guest) members only receiving direct invitation gigs and not appearing at the top of the search results. Also, free members do not see publicly posted jobs. Paying members also take advantage of VoiceMatch, a software program that, much like SmartCast, matches the most appropriate voice talent to posted gigs and then adjusts its matches based on voice over artist behavior. The site also offers SurePay Escrow protection to prevent clients from ripping off voice over actors; the downside to this protection is that it takes a 10% cut for its services. This site occasionally lists available gigs on its site. Interested voice over actors can also peruse career sites like Indeed or Monster for job openings via Snap Recordings. 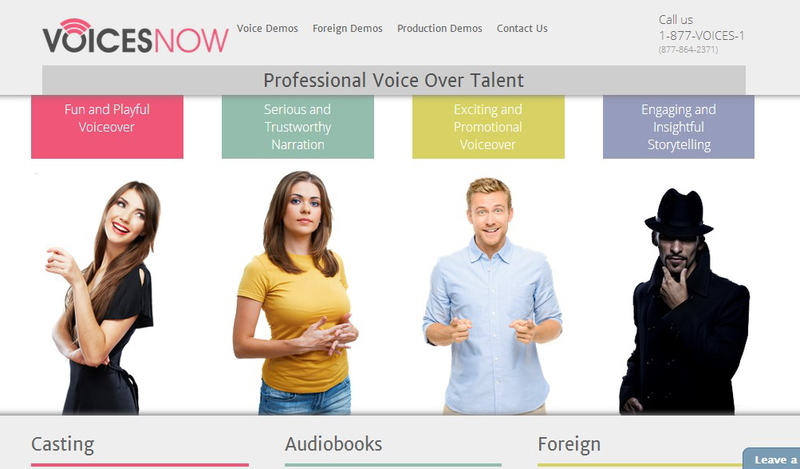 This site doesn’t offer a ready-made area for voice talent to instantly create their profiles; however, under the Contact Us tab, artists can apply directly to Voicesnow for consideration. Voice over artists can also get contracted by Voice talent; the site occasionally posts openings online or through career sites like Indeed, Glassdoor and Monster. All Star Voices– This social networks posts jobs, lists voice coaches, hosts a resource center, and much more. Voice-Over Friends– This Facebook group posts regular notices about the industry as well as job opportunities. Voice Over Universe– This forum posts reviews of voice over sites, educational materials and events. Are you a voice over artist? Please describe your experiences in the comments below. I wish I had one of those fancy “radio voices” so I could do voice over work. It seems like so much fun! Or can anyone do it? I always assumed needed a voice that sounds particular nice to do work like that. Since I’ve started working in customer service, almost two years ago, I am constantly being told that I should look for work in broadcasting because of my voice. Never really thought much of it before, but recently had a customer suggest doing voiceover work. Just curious how easy the field is to get into? Should I bother? Hi.. I am glad to knowing this knowledge about voice acting for animation.. I am new visitor to your article. I also want to be a voice over actor. Can you help me to becoming a actor.? I shall be thankful to you for this..
I’ve only just heard about this voice recording ‘career’. It sounds right up my alley, I am in Australia, has anyone heard/know of work in this field down here? I have over 16 years professional experience in the Arts & Entertainment industry. I began my journey as many do, singing and dancing in local productions and in my early school years. I am a graduate of the University of Bristol and the London Academy of Music and Dramatic Art. I just decided to work as a voice-over artist .. and i have to say that your article helped me alot .. I was intrigued by your comments about computer game voice work. You mentioned UK based, Outsource Media. Can you recommend a US company that does the same thing? Thank you for your detailed article. Excellent! All my life I have been told I have a great voice. 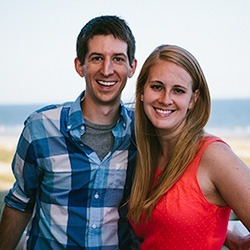 I live in Charleston SC and I don’t know where to begin to look for jobs using my voice. I really want to do this but I wan to do it in Charleston,SC. Please give advice. I’ve had success on http://www.thevoicerealm.co.uk here in England. The rates pay more than the sites listed above and there’s less competition, plus the clients seem to be international. I am just getting started as a voiceover artist. I just made some mp3 audios and am looking to find work. Thanks for the information. It is really appreciated.